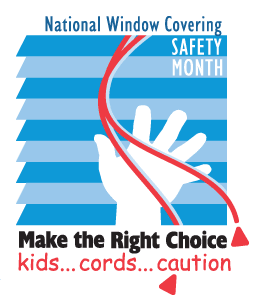 October is National Window Covering Safety month (as designated by the Window Coverings Safety Council). We at Budget Blinds of SW Colorado Springs and Pueblo take your child and pet safety seriously. We offer a wide array of cordless options on window treatments. From wood and faux woods, aluminum blinds, cellular shades, roman shades and more, all can be made cordless. Often this feature can be added for little or no charge (depending on specials we are running at the time). To recognize this important topic, Budget Blinds has free cordless this entire quarter (October through December) available on many cellular & roman shade products.